May half-term is the perfect time to go away if you want to squeeze in a week of relaxing, sight-seeing and family time. First things first, with only 9 days to play with, the journey is almost as important as the destination. If you think a ferry is an important part of a holiday, especially when going to France, we recommend an overnight ferry with Brittany Ferries, docking in Caen, St Malo or Le Havre, and with a short drive to the Vendee, it’ll feel like you started your holiday a day earlier! Not a fan of ferries or flying? – The Tunnel is the choice for you. You can be in France in under 30 minutes, straight off the train and on to the motorway. The main downside is the 8 hour drive through France; but with fast, easy and often uncongested motorways, it won’t feel like a chore. If you have time to spare, spend a night in the historic city of Rouen. By far the quickest option, the ever popular, fly-drive. Nantes airport is only a 60 minute drive from Chateau La Foret, and La Rochelle only 90 minutes. The fly-drive is the perfect way to travel if you want a Monday to Friday break, and still feel like you’ve had a holiday! Now on to the fun stuff…..Once you’ve decided on your mode of transport, it’s time to decide what to do to make the most out of your holiday. 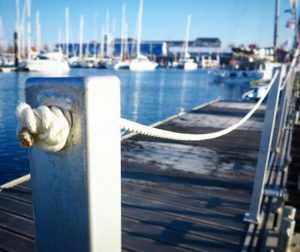 A holiday to the Vendee wouldn’t be complete without a stroll along the Grand Plage of Les Sables d’ Olonne, an ice cream in the harbour, and maybe a trip to the Zoo! Chateau des Aventuriers provides a unique concept for introducing Chateaux and Stately Homes to younger children (and moody teenagers!). 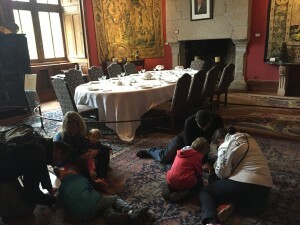 Situated in the Chateau and its grounds are 3 treasure trails, and guests are invited to solve the mysteries of the Chateau. Don’t be fooled, some of these questions are tricky, and will definitely stump adults too! If you like to explore a region when you’re on holiday, there’s no better place than the quintessential French harbour town of La Rochelle. 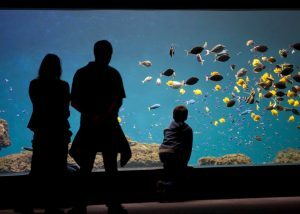 Situated 90 minutes away, it’s easy to spend a day wandering around the cobbled streets, playing at the beach, or visiting the Aquarium. If you have more time, Il de Re can’t be missed, and May is the perfect time to visit the picturesque island before the height of summer. Guaranteed to be like no other attraction you’ve been to before. The award winning theme park is a feast for the eyes, as visitors travel to key times in history, including Roman Amphitheatre complete with Gladiators, and Tigers; a village suffering a Viking invasion, as well as stunning Birds of Prey show. 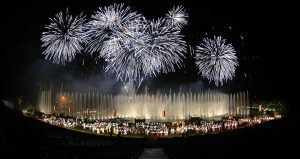 Summer evenings see the firework spectacular with thousands of dancers perform in this visual epic depicting the mystery of Puy du Fou, and its magical waters. 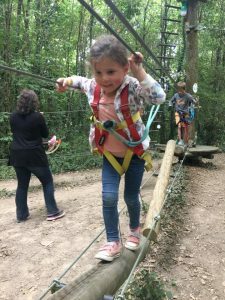 If after all that exploring you still want more adventure, or just want to tire the children out; Le Grand Defi adventure park, situated at Chateau La Foret offers the perfect opportunity for children, from as young as 2 to experience tree-top zip wires and obstacles, paint-balling, laser tag and pony treks through the forest. If you prefer your holidays to be more relaxing, there’s still plenty to do at Chateau La Foret, from children’s activity clubs to playing in the pools, exploring the expansive grounds or just reclining with a book. 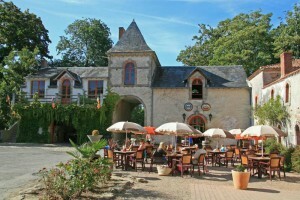 Enjoy a little slice of summer sooner than you thought with Votre Vacances this May half-term.